Detailed by Propublica recently, the Transportation Security Administration (TSA) are discreetly replacing many backscatter x-ray scanners at major airports within the United States. 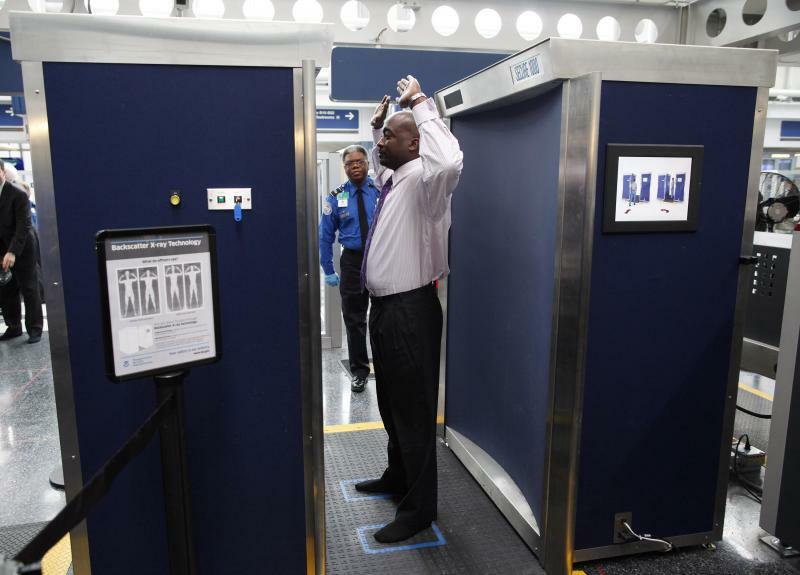 Backscatter x-ray machines detect radiation that reflects off a target in order to build an image of the target for inspection by a TSA agent. In addition, backscatter x-ray scanners create a 2D image, thus two images have to be taken of the human body once a person is standing in the machine with arms raised. Each scan emits a minuscule dose of ionizing radiation that’s the equivalent of two minutes of cosmic radiation during a typical flight. Some travelers have expressed concern about that type of radiation in larger doses being linked to cancer. The TSA is replacing the backscatter x-ray scanners with millimeter-wave scanners that can build a 3D image of a body and utilizes radio waves to operate. Millimeter-wave scanners emit significantly less energy than a typical cell phone during a call. However, the TSA claims that the backscatter x-ray scanners haven’t been removed from major U.S. airports due to safety concerns, but rather due to speed concerns. To date, the backscatter machines have been replaced at Boston Logan International, Chicago O’Hare, John F. Kennedy in New York, Los Angeles International, Orlando International and San Francisco International. The TSA is planning to redeploy the backscatter x-ray scanners at smaller airports around the United States. Regarding the shift to millimeter-wave scanners, TSA spokesman David Castelveter stated “It’s being done strategically. We are replacing some of the older equipment and taking them to smaller airports. That will be done over a period of time.” TSA representatives didn’t specifically indicate which smaller airports will be receiving the older backscatter x-ray scanners. Besides radiation concerns, privacy advocates have repeatedly expressed concern over backscatter x-ray scanners. While each x-ray scan produces an image of the passenger’s naked body, the TSA implemented new software last year to shift to outlines rather than the original image. Millimeter-wave scanner take this a step further by using a cartoon image of a passenger’s body and all threats are detected automatically as each scan is quickly analyzed by software rather than a TSA agent. If there’s a problem, the software flags the scan and a TSA agent will intervene at that point. If a traveler is unsure about which scanner is being used at their airport, each scanner has a unique design. The backscatter x-ray scanner requires a traveler to step between two, large rectangular walls to be scanned. However, the millimeter-wave scanner looks more like a circular glass booth. 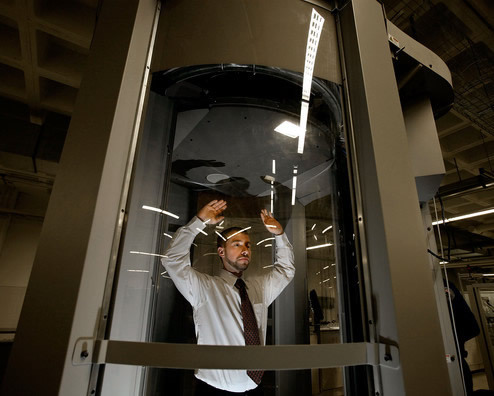 Both scanners require the traveler to lift their arms up in the air before the scan is performed. Other airports that already utilized the millimeter-wave scanners include Atlanta International, Baltimore Washington International, Denver International, Dallas / Fort Worth International, Newark Liberty International, Houston George Bush Intercontinental, Indianapolis International and Minneapolis / St. Paul International. According to studies, the millimeter-wave scanner is more effective as discovering explosives on the human body, but also has a higher false-alarm rate ranging from 23 percent to 54 percent.